Once, almost two score and ten years past, an age so distant Jamie Moyer was not yet two, the populace, speaking as one if more narrowly as a modest suburban Stanley-worshiping couple in Sarnia, Ontario, Canada, entreated God, the master of the universe and endower of mercy, to endow them thus with a pepperpot, and thus was created Pat Verbeek. Envious of their fellow Canadians and equally demanding of their creator to atone for the sins to come of the false prophet Ballard, the populace of Mimico, Etobicoke also thus spoke five years hence and were rewarded with one Brendan Shanahan. Similar bounty bestowed during this term may effortlessly be enumerated: Skelleftea, Sweden’s Patrick and Peter Sundstrom; Kingston, Ontario’s Kirk Muller; Minneapolis’s Tom Kurvers; Madison, Wisconsin’s Mark Johnson; Southboro, Massachusetts’s Doug “Dougie” Brown; Grosse Pointe, Michigan’s Craig Wolanin; Windsor, Ontario’s Sean Burke; Toronto’s Bruce Driver; and of course Roseau, Minnesota’s Aaron “Brots” Broten and Oshawa, Ontario’s John MacLean. 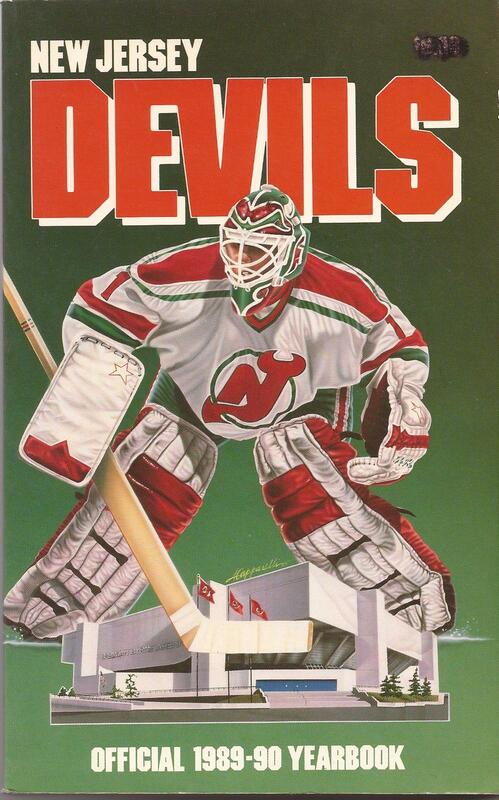 But Sean Burke joined the Devils on March 1, 1988 and went 10-1, .883, 3.05; the Devils went 10-3-1 overall and thanks to coach Jim Schoenfeld (who had replaced Doug Carpenter mid-season) and a John McLean overtime goal (against Darren Pang, no less) ended 38-36-6 with a playoff berth for the first time ever, beating the Islanders in six and the Caps in seven before a 6-2, Game Seven loss to the Bruins in the Eastern Conference finals. And I became a Devils fan. After a few wrong turns (a.k.a. 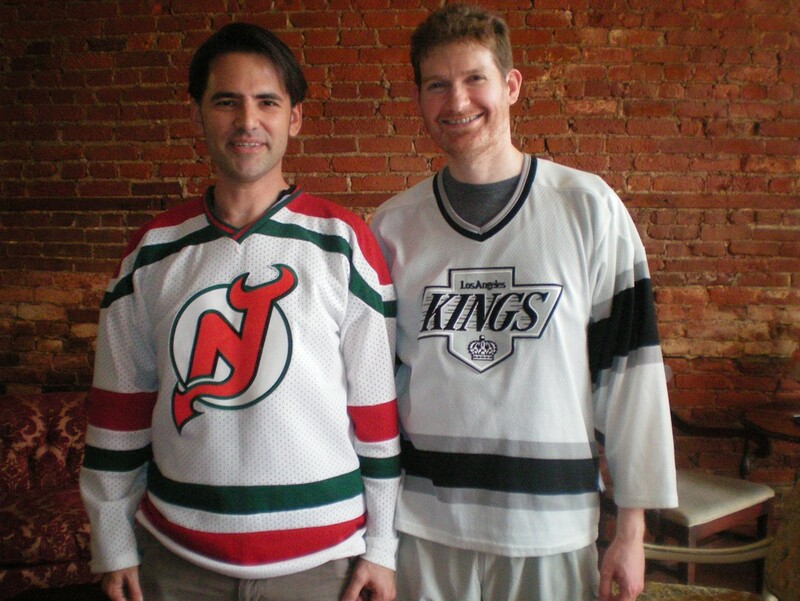 the Chris Terreri era, Sergei Starikov), the clemency of Judge Edward Houston, the Flames’ love of Trevor Kidd, and of course Stephane Matteau, the “Decade of the Devils” t-shirts offered defiantly to the hockey gods at the Meadowlands in the early 1990s were no longer a joke. The Devils would win the Stanley Cup. And another. And another. And I was no longer a Devils fan. I should probably discuss the Kings as well– I’m rooting for them, to the extent that I care; they’ve obviously suffered enough trauma (e.g. Bruce McNall) and mediocrity (the Vitali Yachmenev era), memory (the Miracle on Manchester, Rogie Vachon) and misery (local news coverage in LA) to be worth something when the other teams I was rooting for (i.e. Canucks, Flyers, Coyotes, even, for whatever unknown reason I will regret someday, the Rangers) won’t be there– or crunch some numbers, most of which would make real Kings fans happy (beginning with Jonathan Quick’s .946 and 1.54 against the top three seeds in the West, compared to Brodeur’s .923, 2.04 against the overrated Panthers, beaten-up Flyers, and shot-block-happy Rangers; the Kings are also the better possession team, even more so since the Carter trade), but it’s enough to say that the Devils will need to totally blow for a minimum of a decade, probably two, before I’m willing to root for them again and hope a savior will rise from these streets. So it was written, & so it shall be told. This entry was posted on May 28, 2012 at 3:15 pm and is filed under Canucks-related, Flyers-related. You can follow any responses to this entry through the RSS 2.0 feed. You can leave a response, or trackback from your own site.